You purchased Toyota because of our reputation for quality – and because you have better things to do than worry about vehicle reliability and dependability. 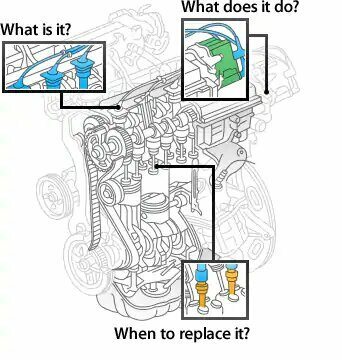 Those are the very same reasons that you should insist on Toyota Parts when it’s time for routine replacement. Genuine Toyota Parts are the only parts that have been manufactured to meet Toyota’s rigorous standards of safety, appearance and durability – helping to protect you as well as the value of your investment. To learn more about Toyota Parts, and the part you can play in keeping your Toyota in peak operating condition, please select the part listed above. You’ll find out what each part does, the factors and conditions that can cause wear and tear, and when and why you should follow the maintenance guidelines for your vehicle as detailed in the Toyota Maintenance Menu.